If you’re looking for quality merchandising equipment, you’ve come to the right place. Here at Customer Minded Associates, we’re proud to offer only the best collection of products to retailers and businesses. Whichever category you fall into, we’re more than happy to help you find the right retail merchandising supplies that will meet your particular needs. 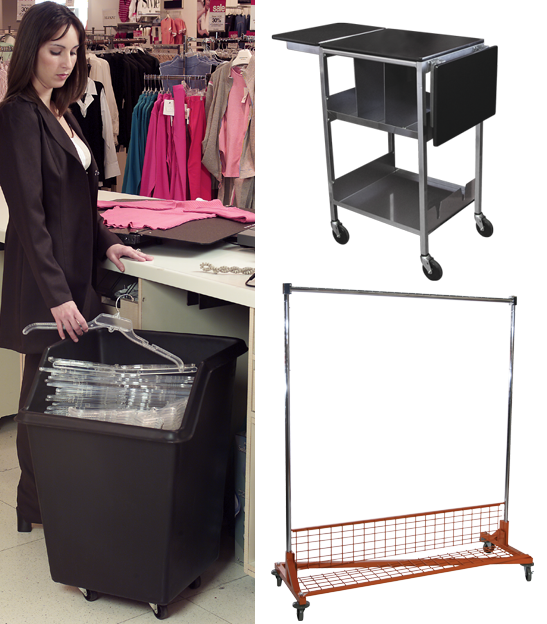 Our line of merchandising equipment includes mobile workstations, processing tables, hanger management systems, carts, racks and more. No matter what retail merchandising supplies you’re looking for, we’re sure to help you find it. If you have any questions or concerns, please direct them to an experienced Customer Minded Associates team member. Customer service is our number one priority, and we’re always ready to help.